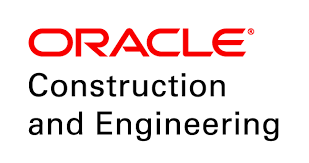 Join us at the Oracle Construction Technology Summit! 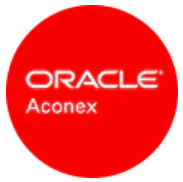 Back in 2016, Oracle’s Aconex started this journey with the intention of creating an industry community of like-minded professionals, a community that could challenge itself and collectively discover the potential benefits of emerging technologies, and more broadly, the role technology itself plays in the ongoing quest for digitisation. As the summit has grown, so too has our community, bringing with it an increased level of sophistication and collaboration - last year saw over 500 senior participants from across the construction, asset ownership/operator and infrastructure sectors come together with over 30 Australian construction technology start-ups. Now hosted by Oracle Construction and Engineering, our latest Summit will continue to build on this momentum and explore the theme ‘Our Tomorrow, Today’, focusing on how modern technologies can be applied today in solving some of the big challenges the industry is facing around productivity, innovation and quality. With local and international keynote addresses, interviews with industry experts, and the opportunity to share ideas through networking, round tables, and plenary sessions - it’s the construction technology event of the year not to be missed! We look forward to seeing you in February in Melbourne! Join us for Oracle Future of Projects on December 6 in London! We are pleased to invite you to Oracle Future of Projects - an exclusive knowledge-sharing event for current and prospective customers of Oracle Construction and Engineering (including Oracle's Primavera solutions, Oracle Aconex and Oracle Textura). Deep-dive presentations from leading organisations such as Bombardier Transportation, Mott Macdonald, National Grid, Network Rail, Siemens Gamesa Renewable Energy, Taca, Turner and Townsend and more - all of which will explore how digital transformation has helped them overcome critical challenges. Innovation-focused sessions including an exploration of the disruptive technologies shaping the "worksite of tomorrow" - and how to position for success in this challenging landscape.